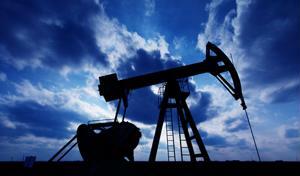 Home Procurement News Can US-based fracking improve the supply chain? Gas and oil prices are always changing. Prior to the hydraulic fracturing surge in the United States, the nation had to resort to global sourcing to meet demand. However, this could be costly for both the government and the people residing in the country. Some people believe that fracking can benefit the U.S. economy. Oil and gas companies have taken this a step further to make the supply chain even more efficient. Fracking has its critics. The process involves drilling into the Earth and shooting water, chemicals and sand at high velocities into the hole to create fissures in the shale. It's been linked to allegedly contaminating drinking water, polluting the planet and causing earthquakes, the Global Energy Initiative reported. The overabundance of methane production may eliminate any benefits gained from replacing coal-fueled power plants with natural gas. However, the chances of these events occurring are small, and the positives just may outweigh the negatives. Having natural gas derived from local sources has stabilized the energy economy, lowering costs and standardizing prices for consumers, SCM World explained. Strategic sourcing of fracking may even create new jobs and revitalize the U.S. economy. According to the Boston Consulting Group, all parts of the supply chain benefit from the process. Thanks to the abundant supply of natural gas, capital investments in chemical production totaled $130 billion from 2010 to 2015, while chemical manufacturing will add $10 billion to $21 billion to the economy. Unfortunately, fracking is expensive. Installing a new well can cost $8 billion, Manufacturing.net reported. These newly drilled shales also see a 70 percent decrease in production within the first year. Luckily, drillers have come up with a new way to make the process more cost-effective and increase the speed and collection of natural gas. Refracking involves drillers returning to already existing wells to repeat the fracking process over again. It not only costs $6 million less than a new well, but there's also a 60 percent recovery rate on re-tapping old wells, according to the source. These wells could last for at least 50 years if regularly re-stimulated, Bloomberg reported. Once they've exhausted those resources, workers can move onto drilling more. IHS Inc. estimated that refracked wells may make up 11 percent of the fracking process by 2020, according to Bloomberg. However, it also may come with more risks. By re-tapping a well, drillers may over-stimulate the shale, which can result in its destruction. There could be more room for error as well, and the environment may face negative effects. Refracking is in its early stages. Only a few drilling companies have experimented with the process, while others have their doubts. By refining fracking, these business and the economy may see a more efficient and sustainable supply chain.